Internal combustion engines are not going the way of the dodo any time soon. But that doesn’t mean anyone should be resting on their laurels – these engines that many grew up with are certainly going be far less common sooner rather than later. What will ﬁll the void? According to the Global Automotive Executive Survey 2018 – an annual report from business advisory ﬁrm KPMG – it will be a combination of hybrids, battery electric vehicles and fuel cell electric vehicles sharing the road along with internal combustion engine. Automakers were once – and perhaps still are – focused on reduced fuel consumption as a way to attract car buyers. But, the report said, reducing the carbon footprint may now be the driving force for new powertrain technologies. “Technological advancements were hardly used to reduce CO2 emission, but instead emissions and fuel consumption were kept on a fairly constant level, while OEMs produced larger cars leading to the growth of the SUV segment,” the survey said. There is a carbon neutral possibility to keep combustion engines at the forefront. 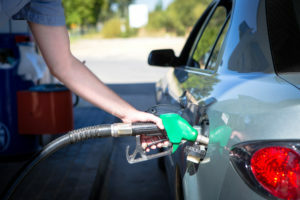 “For ICEs, a game changer for the ecological footprint would be the economically beneﬁcial production and use of synthetic fuels, which bind the carbon dioxide from the atmosphere during the production process, making them carbon neutral,” the report said. But if you were to ask consumers globally, they paint a different picture, according to the study. Almost 80 per cent said they’re already considering an alternative powertrain technology or a hybrid of some kind when they buy their next vehicles. Furthermore, Craig A. Gifﬁ, Joseph Vitale, Jr., Thomas Schiller and Ryan Robinson – automotive group leaders at professional services ﬁrm Deloitte – believe these hopes and dreams are a bit farther out of reach than most people think. “In fact, the current pace of investment in advanced vehicle technologies can be described as a game of high-stakes poker where the players are all in, and the outcome is largely undetermined, though unlikely to favour everyone at the table,” they wrote in the 2018 Global Automotive Consumer Study. Sure, electric vehicles are coming, but let’s sit back and think for a moment, they advised. One issue will be affordability. The price for new cars is at an all-time high, pushing more consumers to lease vehicles rather than buy. Edmunds reported that leasing accounts for almost one-third of new vehicle transactions. Loans to buy new cars average almost 70 months. Off-lease vehicles will mean a glut of affordable used options for car buyers. Given this, who will fork out more dough for an electric powertrain? People may want it but Deloitte found price premiums will keep buyers away. There are other challenges, according to Michelle Krebs, executive analyst for Autotrader. 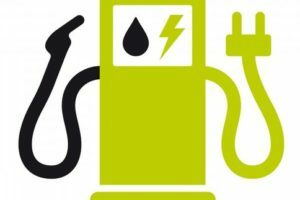 “There is still range anxiety about ‘How far can I go on a charge?’ Also, there are concerns that the infrastructure isn’t coast-to-coast and you can’t just pop in and top it off – charging takes a long time,” she told global market research ﬁrm Ipsos, in its report, What the Future. In Canada, Deloitte found 71 per cent of consumers will consider an internal combustion engine when they go buy a new car, with 22 per cent considering hybrid electric and just 6 per cent going with a battery electric option. Only South Africa (85 per cent), the United States (80 per cent) and the United Kingdom (73 per cent) responded with higher preferences for traditional engines.